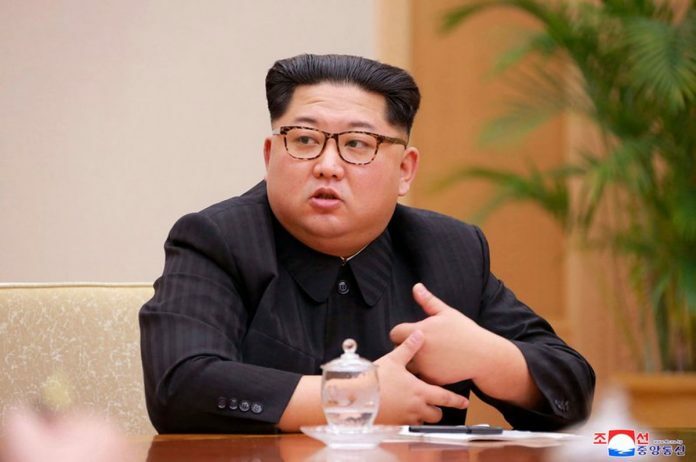 North Korea said Saturday it has suspended nuclear and long-range missile tests and plans to close its nuclear test site ahead of a new round of negotiations with South Korea and the United States. There was no clear indication in the North’s announcement if it would be willing to deal away its arsenal. He also said he’s looking forward to his upcoming summit with Kim. South Korea’s presidential office welcomed North Korea’s announcement as “meaningful progress” toward the denuclearization of the peninsula. Presidential official Yoon Young-chan said in a statement that the North’s decision brightens the prospects for successful talks between Seoul, Pyongyang and Washington. The North’s official Korean Central News Agency said the country is making the move to shift its national focus and improve its economy. The North also vowed to actively engage with regional neighbors and the international community to secure peace on the peninsula and create an “optimal international environment” to build its economy. The North’s decisions were made in a meeting of the ruling party’s full Central Committee, which had convened to discuss a “new stage” of policies. The Korean Workers’ Party Central Committee declared a “great victory” in the country’s official “byungjin” policy of simultaneously pursuing economic and nuclear development. “To secure transparency on the suspension of nuclear tests, we will close the republic’s northern nuclear test site,” the party’s resolution said. The official news agency quoted Kim as saying during the meeting: “Nuclear development has proceeded scientifically and in due order and the development of the delivery strike means also proceeded scientifically and verified the completion of nuclear weapons. Seoul says Kim has expressed genuine interest in dealing away his nuclear weapons. But North Korea for decades has been pushing a concept of “denuclearization” that bears no resemblance to the American definition, vowing to pursue nuclear development unless Washington removes its troops from the peninsula. South Korean scientists have questioned whether the North could continue conducting underground nuclear detonations at its mountainous test site in Kilju in the northeast due to a series of earthquakes that were likely triggered by the activity, suggesting it’s too unstable for further bomb tests. At the height of Pyongyang’s standoff with Washington and Seoul last year, North Korean Foreign Minister Ri Yong Ho told reporters the country could conduct an atmospheric hydrogen bomb test over the Pacific Ocean.